MSI launches in France a new version of its Ultrabook gamer MSI GS73VR 7RF which appears at less than 1400 euros . 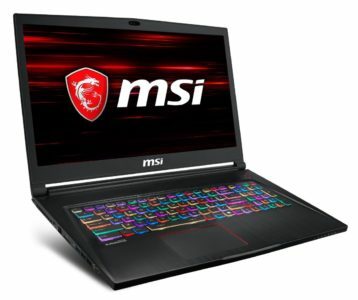 It includes a dedicated, high-end dedicated NVIDIA Pascal GTX 6GB dedicated graphics card, a dedicated SSD storage solution of significant capacity, a 17-inch Full HD 120Hz anti-glare display, a Kaby Lake i7 Quad Core processor, a retro-lit chiclet keyboard or a connection USB 3.1 Thunderbolt. Fine and relatively light, it offers the choice of the operating system. For a portable gamer large format, it has a fairly sober and elegant look thanks to the beautiful fineness of its chassis but also its black brushed metal finish, not forgetting to adopt the gamer codes with its touches of red. Cooling is provided by the Trinity Cooler Boost technology consisting of 3 Whirlwind Blade fans (41 blades) improving the airflow by 30% compared to a conventional fan. The processor and the graphics card each have a dedicated cooling system, and a total of 5 heat pipes are integrated. Also note the presence of Matrix Display to display content on up to 3 screens and Silver Lining Print for a backlighting of the touch of the key (not just the base or the letter). 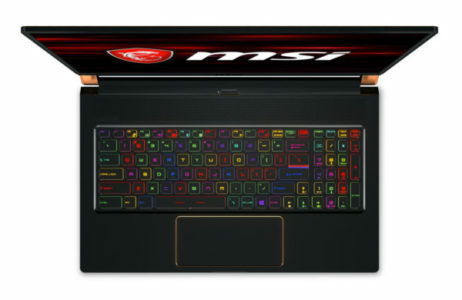 This MSI GS73VR 7RF Stealth Pro is for those who want to acquire a powerful versatile laptop large format, comfortable in games and yet compact. Indeed, despite its 17 inches and gamer orientation, it enters the clan of Ultrabooks thanks to its beautiful finesse while its weight content less than 2.5 kg facilitates relatively its transport (for such a machine). The cooling system has been improved compared to its predecessor GS73VR 6RF which keeps the temperatures at a correct level considering the embedded components and the thickness of the chassis. Keep in mind that if you want to fully exploit the capabilities of this Ultrabook, it is necessary to install a complete system such as a Linux or Windows distribution. For example, you will be able to take advantage of NVIDIA Optimus technology that evaluates graphical needs in real time according to the tasks requested by the user. If necessary, Optimus switches automatically and in real time between the processor-integrated Intel HD 630 and the GeForce GTX 1060 dedicated card. Optimus favors the Intel HD 630 as much as it can, despite its modest performance, because it is energy-efficient and frees up compared to the greedy and powerful GeForce GTX 1060plus. Featuring the Pascal architecture, the GeForce GTX 1060 here in dedicated 6GB version is able to support the favorite games of users and of course allows just like the Intel HD 630 to watch photos and videos. The 16: 9 aspect ratio of the screen lends itself well to this use, as does its Full HD definition for High Definition content. Anti-reflective coating, the screen also offers better visibility in bright environment than a glossy slab and is more restful for the eyes for a long time. IPS technology point here but TN. That being said, many players will appreciate in return for dealing with screen refresh rates of 120Hz 2 times above average which enhances fluidity in games. 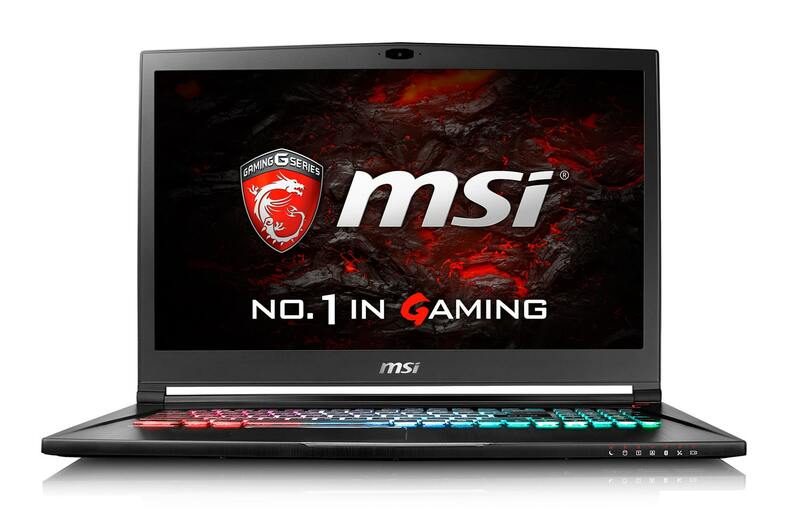 In order to attract players for whom responsiveness is important, MSI integrates a dedicated SSD storage solution into this computer that is much faster than a hard drive, while being less energy efficient, more shock-resistant and quieter. In addition here we take advantage of a capacity of 512 GB competing with hard drives and a 2.5 inch housing is available. As a bonus, you can add a second SSD or hard drive to gain capacity. Consisting of 8GB of RAM and a Kaby Lake Quad Core i7-7700HQ processor, the heart of this Ultrabook player delivers strong overall performance to fill a maximum of users. So everyday we get a much smoother and faster operation than with a PC without a SSD with 4 GB DDR3 / 4 and a dual core processor, the difference is particularly noticeable in areas requiring RAM and CPU resources pulling part of the multicore architecture (eg photo editing, video editing, 3D rendering). 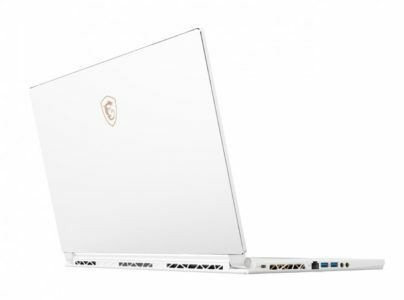 The connectivity integrated in this Ultrabook gamer is also composed of 1 USB 3.1 Thunderbolt 3, Bluetooth 4.1 and Wi-Fi ac modules to communicate and connect remotely wireless, Ethernet and audio ports, mini video outputs -DisplayPort and HDMI convenient for easily connect this PC to a TV and / or monitor for example and 4 USB all compatible USB 2.0 and USB 3.0, USB 3.0 guaranteeing transfers up to 10 times faster than USB 2.0 when plugging in USB 3.0 devices. Finally, Killer DoubleShot and Killer Shield technologies are integrated to give online games network priority. The chiclet keyboard on its side was designed with the help of SteelSeries to adapt to the habits of the players. It has of course a backlight system keys to discern correctly in the dark.